The Big 4 accounting firms have identified legal services as an area for growth beyond traditional financial services and consulting services. Additionally, data security and compliance are critical components for the success of both developing and established companies. 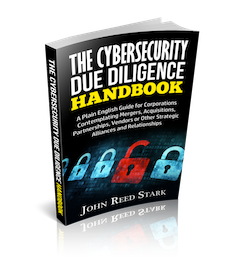 These combined trends present an expanding field for law firms to develop partnerships with cybersecurity companies to offer their clients legal expertise with additional business services. Numerous firms have created subsidiaries under the firm’s umbrella to offer consulting services, from big law to mid-size firms, setting a precedent for law firm cybersecurity relations and other relevant consulting services. via Are Cybersecurity Solutions and Consulting a New Revenue Stream for Law Firms? | Legaltech News.